Dad the legend, dad the champ, dad our hero! 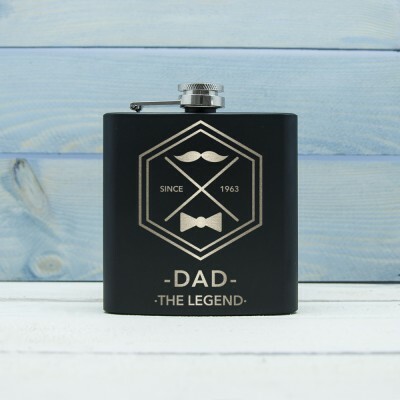 Treat Dad to something extra special with this black matte engraved hip flask. Personalised with the year he became a dad or his year of birth as well as his name. Black matte hip flask Engraved Moustache design.